Are you just itching to flex your pop-culture trivia muscles? 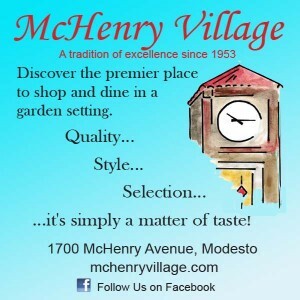 Lucky for you, there’s a weekly quiz game in Modesto where you can win prizes while having a fun night out with your friends. 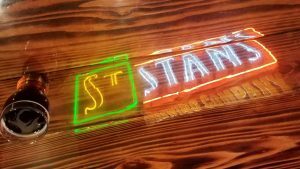 St. Stan’s Brewing Co. Tap Room plays host to Geeks Who Drink, a free pub quiz featuring eight rounds of eight questions each, meaning you’re in for a full night of wracking your brain with your fellow teammates to earn prizes such as free pints or even money toward your tab. So obviously, the stakes are pretty high, here. Up to six people can be a team, but don’t worry if you’re flying solo or don’t have a full complement; you can find other incomplete teams and join forces to compete while getting to know your new friends. The categories cover an incredibly wide range of topics across decades, so age and personal background are absolutely no problem- in fact, you’ll probably want to make sure your team is as diverse as possible so you have the best shot at taking the lead. But taking the lead is no easy feat. Sixteen teams competed the night I attended with fellow ViewCrew, and the competition was fierce! I got the impression that more than a few teams may have been doing this regularly for some time, which speaks to just how fun the games are in addition to how the St. Stan’s creates a warm and inviting atmosphere with their huge selection of drinks and incredible food (seriously, try the Spicy Monkey pizza). But even though there may be some pub quiz veterans playing, the more is always the merrier. My team and I felt welcome immediately, and it was a night full of celebrating the correct answers and collectively groaning when we got questions wrong. But ultimately, is Geeks Who Drink all about winning? No. Do I say that because our team got last place? …I’m going to stick with “no”. 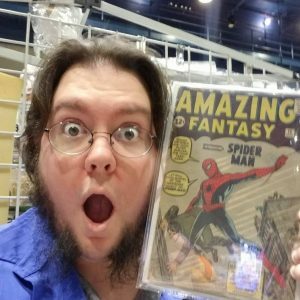 Because what Geeks Who Drink is really about, in this reporter’s opinion, is celebrating pop-culture while having a great time out with friends. And at the absolute very least, you’re going to learn something. For example, did you know that paisley is not only a pattern, it’s also a town in Scotland? That’s a freebie from me to you. 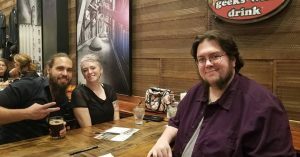 You can play Geeks Who Drink’s pub quiz in Modesto every Thursday at St. Stan’s Brewing Co. Tap Room starting at 7:00pm, but if you’re elsewhere in the Central Valley, consider checking www.GeekswhoDrink.com to see where a game is being played near you. And for more info on St. Stan’s, you can visit www.ststans.com. You can also play Geeks Who Drinks pub quiz in Ceres every Tuesday Night at Fired Up Grill at 7:30.